Editor's note: This story has been updated. Find our most up-to-date coverage here. At least one person is dead following a midair plane collision Wednesday in Southcentral Alaska, according to the National Transportation Safety Board. The crash was first reported at 12:13 p.m. near the mouth of the Susitna River, Alaska State Troopers said. One plane landed safely at Lake Hood while the other crashed, with wreckage discovered in the river. 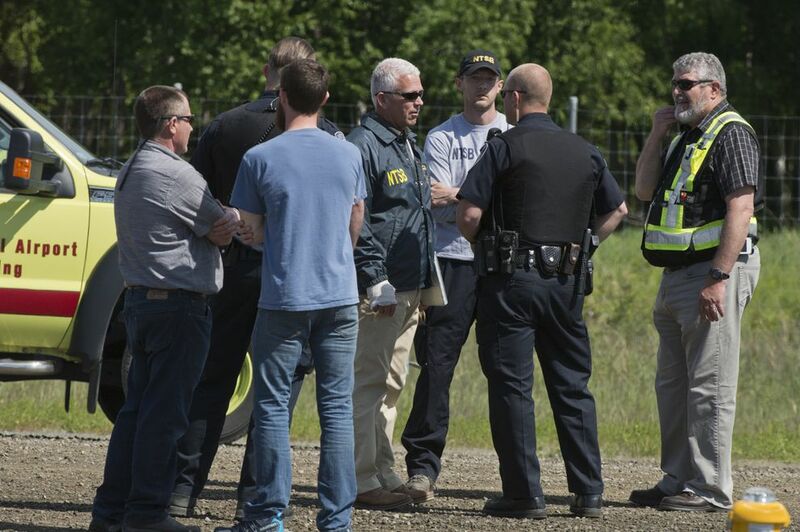 "One good Samaritan landed at the site, and was able to relay to us that he saw one victim in the airplane," said Clint Johnson, the Alaska chief for NTSB. "We're fairly certain that there's one person in the airplane," Johnson said. Authorities have not publicly identified the deceased person. The NTSB is awaiting information from the Alaska Rescue Coordination Center. Johnson said the agency did not have any additional information to share with the public at this time, as investigators work to verify the identify of the airplane owner and contact next of kin. 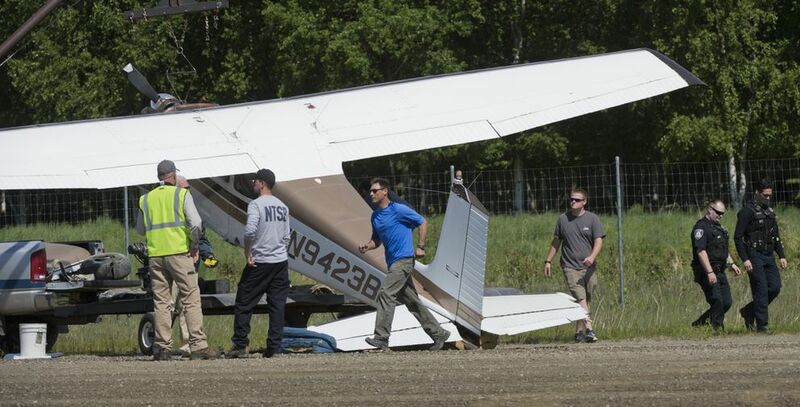 Clint Johnson, chief of the Alaska Regional Office of the National Transportation Safety Board, spoke to reporters at Lake Hood, where one of the planes involved in a midair collision had made an emergency landing. "Roughly about 20 minutes after noon today, we were notified of an event that took place by the mouth of the Big Susitna River, which is across the inlet here," Johnson said from Lake Hood. "Shortly after that, the airplane that's right behind me here made an emergency landing at the strip, and we just had a chance to talk to the pilot. It appears at this point right now that we do have a midair that took place in that area of the mouth of the Big Susitna," Johnson said. The second plane, a Cessna, was found submerged in the river, Johnson said. It was still unclear whose plane it is, and how many people were on board. "Right now state troopers and Rescue Coordination Center are running the rescue," Johnson said. The pilot who landed safely at Lake Hood told investigators that he had been flying from a remote fishing spot back to Anchorage when he "saw the airplane at the last moment, basically nose to nose, struck the airplane, and made a couple of circles to try and assess what the condition of the other airplane was on the ground," Johnson said. The pilot then flew back to Anchorage. The left landing gear of his plane had been "completely sheared off," Johnson said. Alaska State Troopers say wreckage has been found near the mouth of the Susitna River following a 12:13 p.m. report of a midair collision in the Matanuska-Susitna Borough. Search-and-rescue teams have launched, troopers said. Meantime, at 12:55 p.m., troopers got a report that a plane had made an emergency landing at Lake Hood in Anchorage. "It is unknown how many people were on board either aircraft," troopers wrote. 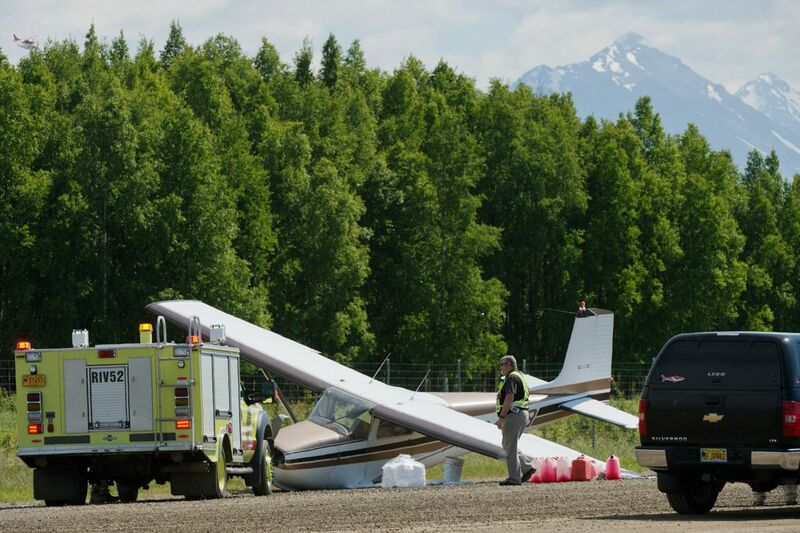 Dave Schulling, deputy chief of Airport Police and Fire with the Ted Stevens Anchorage International Airport, said one small plane landed at Lake Hood with damaged landing gear. The pilot, the sole person on the plane, landed the aircraft and "walked out just fine," Schulling said. Schulling didn't know the status of the second plane. The Alaska Army National Guard was sending a UH-60 Black Hawk helicopter to the mission location, said Candis Olmstead, director of public affairs for the Alaska National Guard, along with two pararescuemen from Joint Base Elmendorf-Richardson. Clint Johnson, chief investigator with the National Transportation Safety Board's Alaska region, said that "we have had an event" but couldn't confirm anything else immediately on Wednesday.